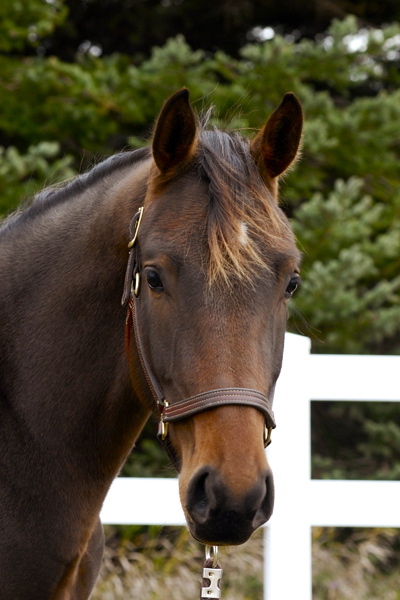 Call Karin and ask about all the horses for sale at Brek-n-Ridge Farm. 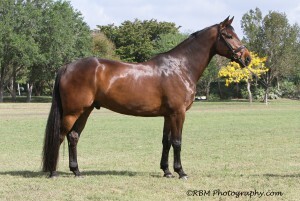 We are offering for sale our lesson horses. We know these horses and their capabilities. 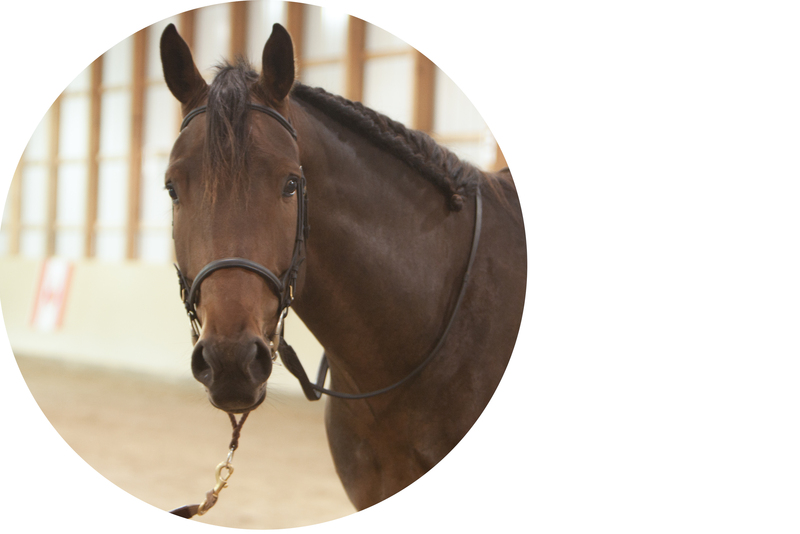 We can help you match your buyer’s to our horses. These prices include commissions. All offers and 501-C-3 organizations donations considered. Aged (but not too old) Morgan gelding. 15.1 hh. Very experienced show horse. He has competed in many equestrian disciplines and he has taken his riders into the winners circles. 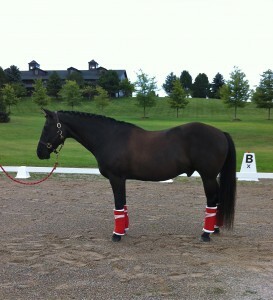 Would make an excellent school master for low level dressage rider. Sweet, excellent stable manners, loads easily and is quiet arriving at the show arena. Owner away in college. Asking $10,000. A Perfect Horse to Teach you How to Ride! Born July 10, 2000. Annie’s sire was a stallion named BOXCARJACK and her dam was a mare named LTJ Littlestrawberry. 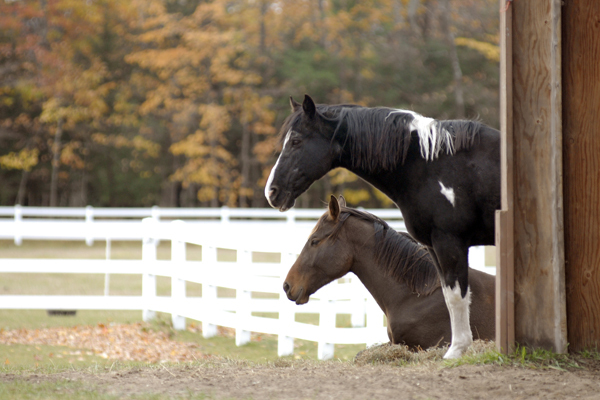 Registered by the Pinto Horse Association of America, Annie stands 13 hh and easily carries adults and tall children. She is our advanced lesson horse. Annie will be showing up to 2nd Level Dressage this summer. She has been jumping at our regional Stepping Stones shows. She has been shown in dressage, equitation and jumping. She excels in all. She is a fast learner, jumping brush boxes, coops and small oxers. She likes a brave rider, and she has a lot of heart and a get up and go attitude. She is a mare with a big engine, NOT a slow poke and she adores trail rides and cross-country and she could easily become a Three Day Event Pony. Annie is our personal favorite. 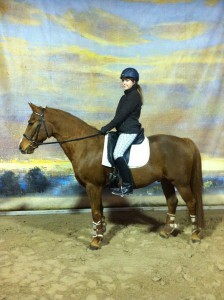 She is an all round pony that rides dressage, jumps like a champion and is the pony that only my best riders can ride. She has an engine and you will need to become a sophisticated rider to get the job done! She is totally cool. Zorro The Black, an all round favorite. He will win in the shows for you. 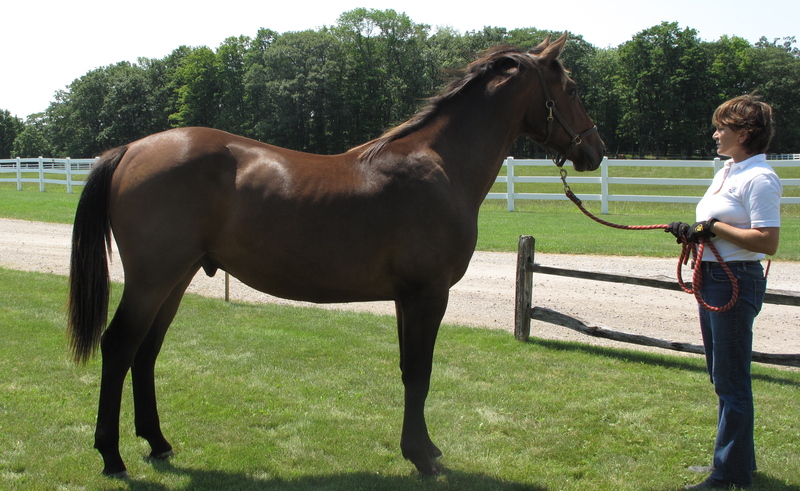 15.2 hh black gelding brought to Brek-n-Ridge Farm for training in June 2013. 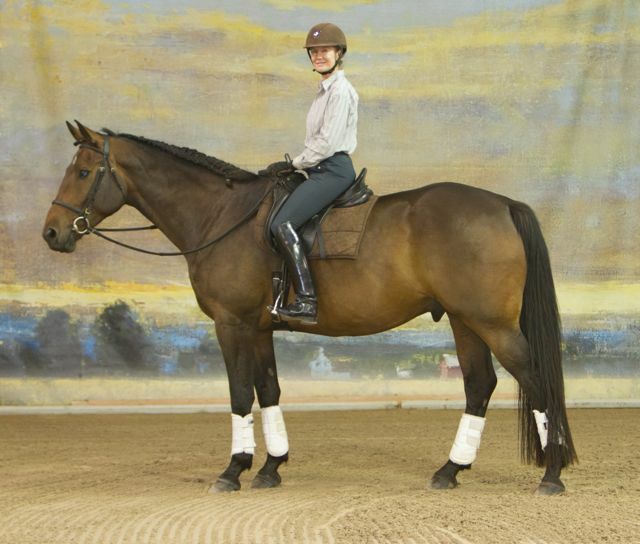 Zorro has become a lesson horse for the smallest children, our beginners, advanced and adult riders. He won many dressage classes at STEPPING STONES schooling shows and was Champion of the Year in our region. 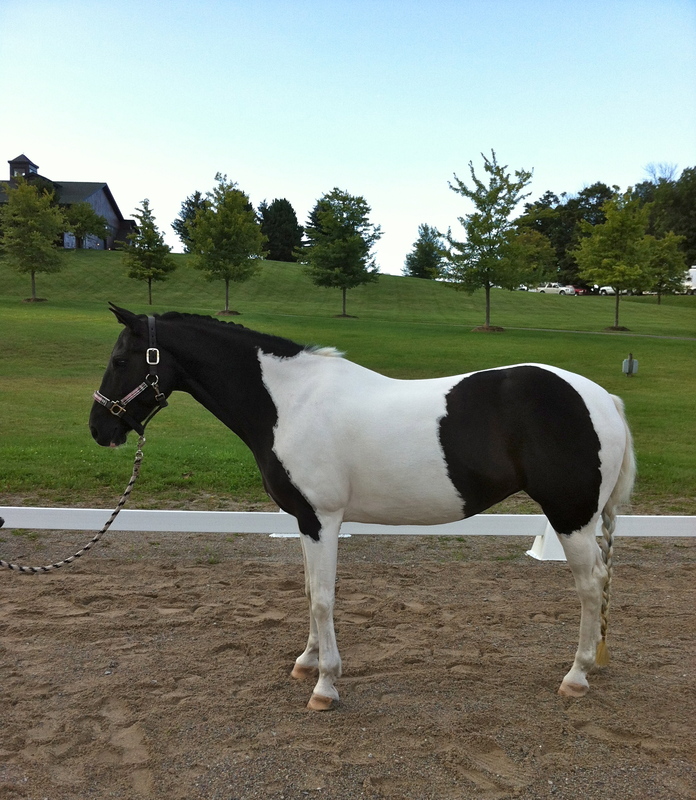 He has been shown at USDF shows through First Level. Zorro could be an amazing western dressage competitor. Character and sensibility, long legs and a good nature, Merlin aka “Perfect Timing” was born May 5, 2009, Merlin’s dam, Avalon, is a full blooded Hanoverian mare standing 17 hands, by Princeton, Reg. #1-23-0709-012-94, by Pik Winland out of Winspatz. She is out of Wens Dae, by Whitewater, Hannover reg #317707986 out of Godiva #31-80105-87. I have never done this before. Never thought I would. But I did. He left his home today. He will arrive at my barn tomorrow. 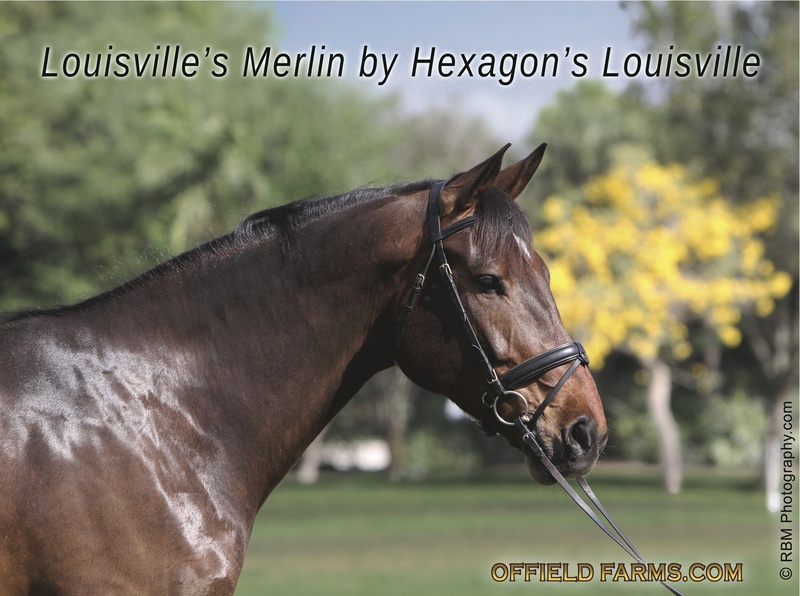 This is the email from the seller I received today.”Hi, Merlin is on his way, loaded ok but not happy to be leaving, he’ll settle down soon… LOL He’s been off grain for the last week while I was gone so you can start him back on whatever feed you like. There is a bare patch on his right hip that is slowly growing back hair, I think it was from the betadine irritating his skin when we laid him down to geld (there’s one on the inside of his right rear leg, too, same thing, same time). Other than that he is looking good and has healed up nicely from his gelding, no problems I know of, my neighbor said he was fine all week and seemed ok today to me. I had his feet trimmed two weeks ago so he shouldn’t need anything for a while. Karin, he has never cross tied, I don’t like those things, so if you guys do that at the farm just be aware he’s not done it before. He’s never heard or seen clippers, either, I don’t own any. So, I now that I live really far North without the compliments of many vets and blacksmiths I have been so used to while riding in the FEI level, I will look forward to getting to know Merlin. The Arrival: Who knew…I would have never imagined trying to catch a young yearling in a trailer. It happened today ! Merlin was shy. According to the shipper, he had traveled 24 hours with a 4 year old stallion who kept him awake for most of the journey. The stallion was dropped off at 4 am, and Merlin settled in for the remaining hours of the trip allowing the drivers to rest quietly, for 2 hours after that…then they traveled on to Northern Michigan arriving at Brek-n-Ridge Farm at about 11:30am. We were patient and about 30 minutes later, Merlin quieted down and allowed the handler to take him by lead, and he stepped off the truck and went willingly into his fresh stall. He stayed inside and rested, drinking water and enjoyed his 12/12 salt block and some hay. Welcome to your new home MERLIN ! Merlin grew up with Patches, our 30 year old trail horse that came from Sedona when we moved. Patches is probably the best and bravest trail horse I ever sat on and our best lesson horse. I hope it rubs off on Merlin.